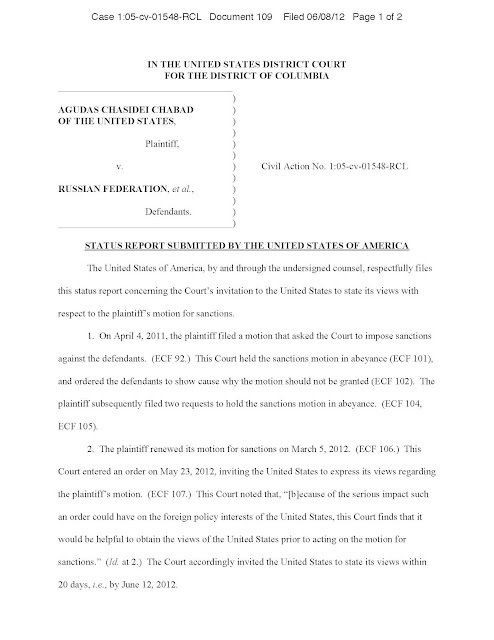 The plaintiff's motion raises significant issues that require further consideration by the Executive Branch before a final decision can be made with regard to the response by the United States to the Court's order. The United States is actively engaged in its deliberations with respect to those issues. The United States expects to complete its deliberations by August 10, 2012, and intends to advise the Court of its position by that date. 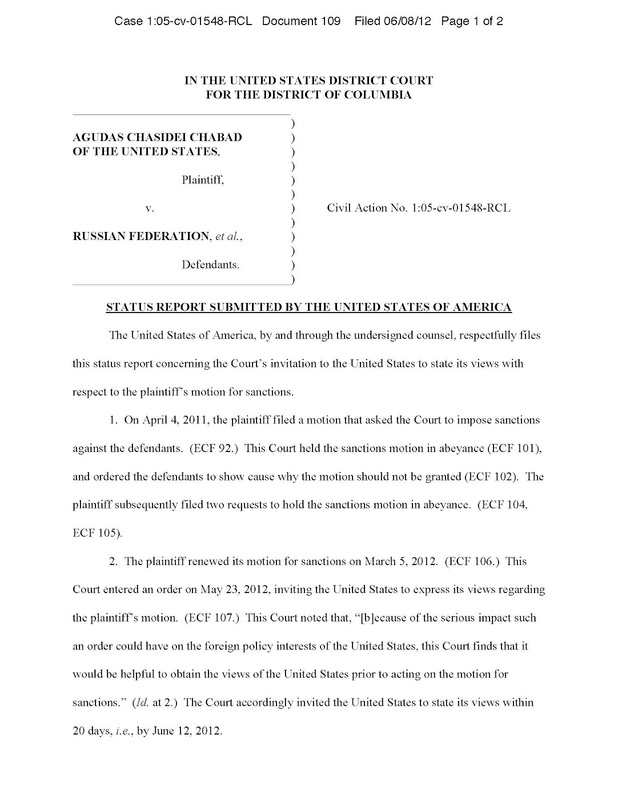 The United States respectfully requests that any decision addressing plaintiff's motion be deferred until it has completed its deliberations. The United States appreciates the Court's invitation and its consideration in this matter.